MEOR Stakeholders at Ponte Sant`Angelo Church before the Launch Service. 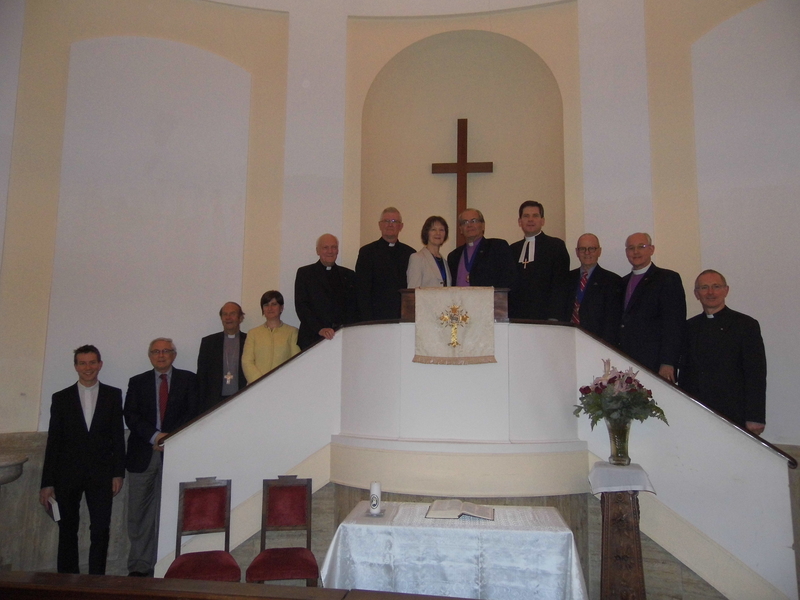 The Methodist Ecumenical Office Rome (MEOR) was dedicated during an act of worship at Ponte Sant’ Angelo Methodist Church on Wednesday, 6 April. The service was attended by representatives of the Vatican and the Anglican Communion, and members of the diplomatic corps and other churches in Rome. Officers of the World Methodist Council, other members of the MEOR Stakeholders’ Forum, and the Chair of Churches Together in Rome read the scriptures and led the prayers; the Director of the Office, The Revd Dr Tim Macquiban was the preacher. Greetings were offered by Archbishop David Moxon (representative of the Archbishop of Canterbury to the Holy See and Director of the Anglican Centre), HE Nigel Baker (British Ambassador to the Holy See), and, on behalf of Cardinal Kurt Koch (President of the Pontifical Council for Promoting Christian Unity), Mgr Juan Fernando Usma Gomez. The service was followed by the dedication of the Methodist Centre by The Revd Gareth Powell (Secretary of the British Methodist Conference) and its official opening by Bishop Paulo Lockmann (President of the World Methodist Council). Members of the Stakeholders’ Forum had gathered the previous day for a celebration of Holy Communion at the Anglican Centre where they were warmly welcomed by its Director. 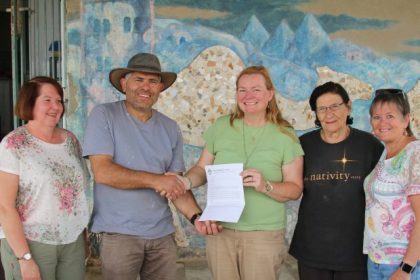 The Forum comprises representatives of the World and European Methodist Councils, the British Methodist Church, the Methodist Churches in Italy (OPCEMI), the United Methodist Church, and The Wesley (Rome). Its meeting, chaired by The Revd Gareth Powell, considered reports on the significant developments during the past year, shared hopes and made plans for the future, and congratulated The Revd Tim Macquiban on his work. A Mission Statement was agreed declaring the Office a presence for the World Methodist Council to be a channel of dialogue with other churches in the search for a deeper unity, to foster relationships with other agencies and faith communities in order to promote better understanding and joint action for justice and peace, to offer a ministry of prayer and reflection and of learning and growth, and to be a place of open hospitality to Methodists and all visitors to Rome. The Forum’s programme concluded on 7 April with a visit to the Pontifical Council for Promoting Christian Unity and a private audience with Pope Francis. You may read the WMC’s address to Pope Francis as well as his response. Other Methodist bodies were also in attendance during this historic gathering including The Revd Gareth Powell from the Methodist Church in Britain, Prof. Dr. Robert Gribben from the Uniting Church in Australia and Chair of the Standing Committee on Ecumenical Relationships for the WMC, and Bishop Michael Watson from the United Methodist Church.